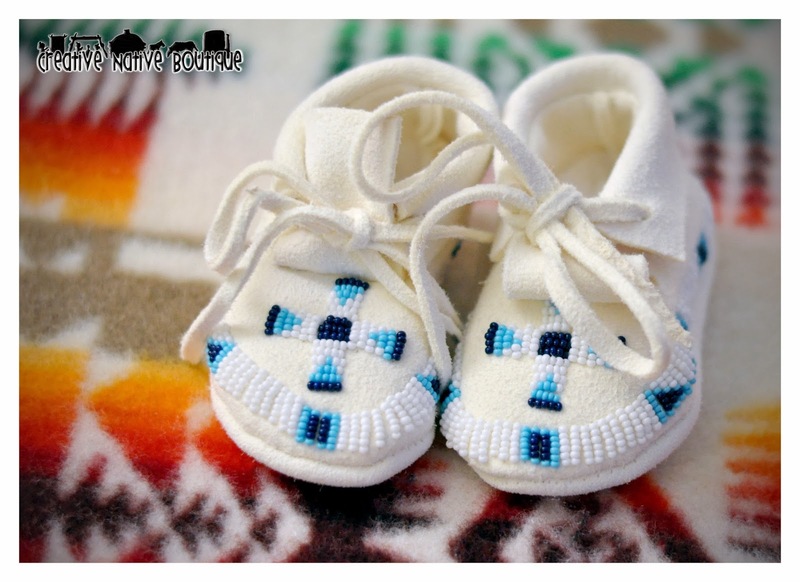 Still looking for that unique Christmas gift? 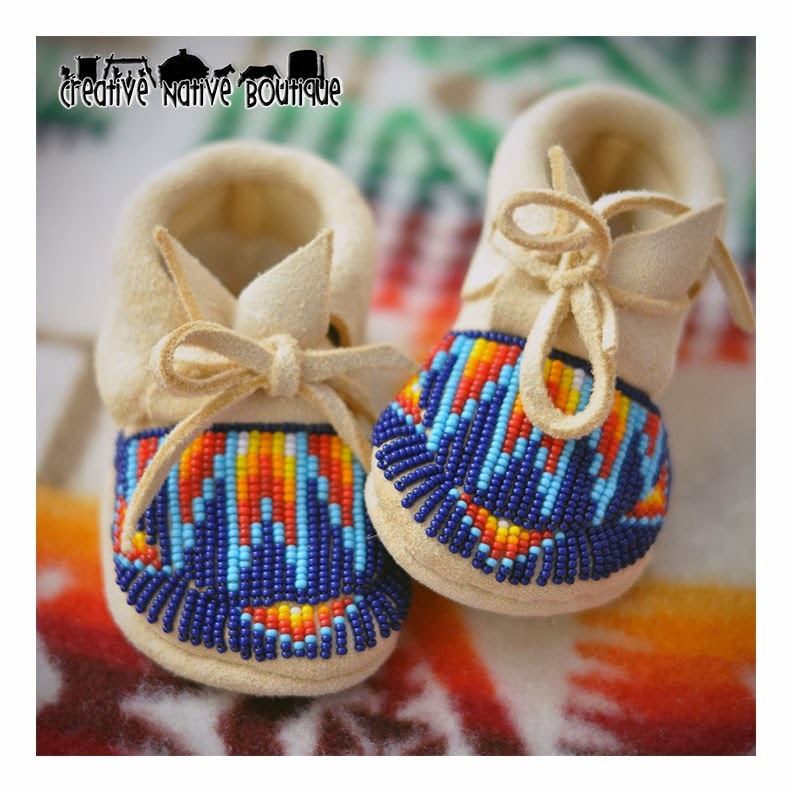 Check out my shop on Etsy! 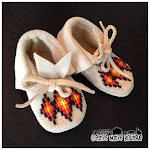 These baby moccasins are finished and ready to mail today! These moccasins are a size 1-2. 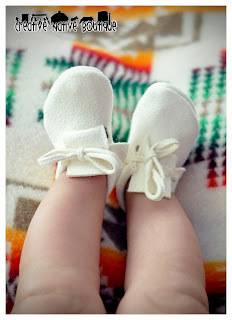 They will typically fit a newborn baby to about 6 months. 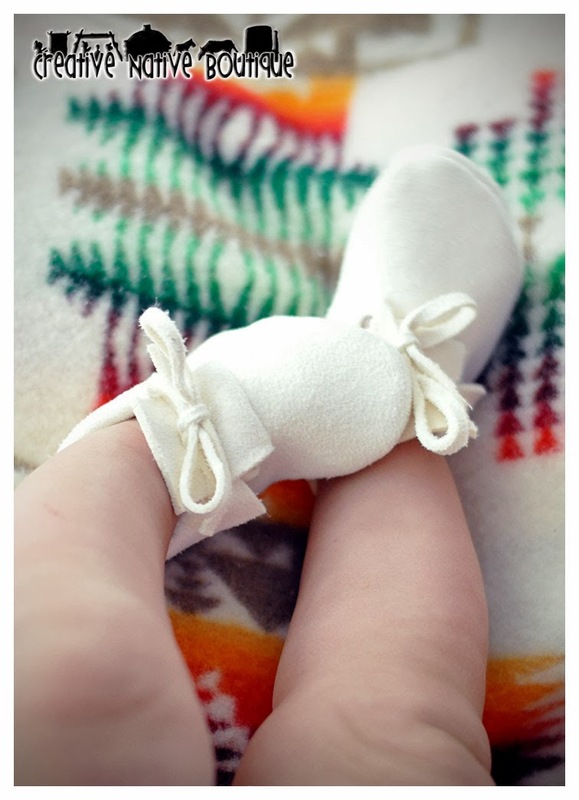 However, all babies are different sizes--so make sure to measure your baby's foot. These measure 2" x 4". 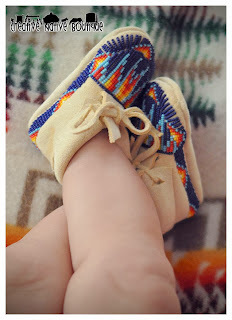 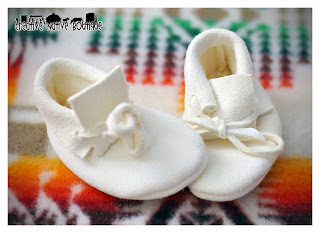 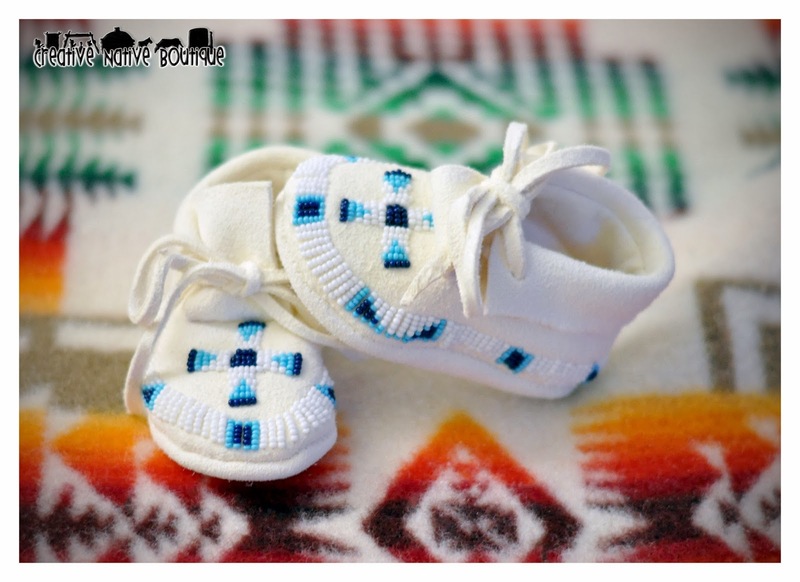 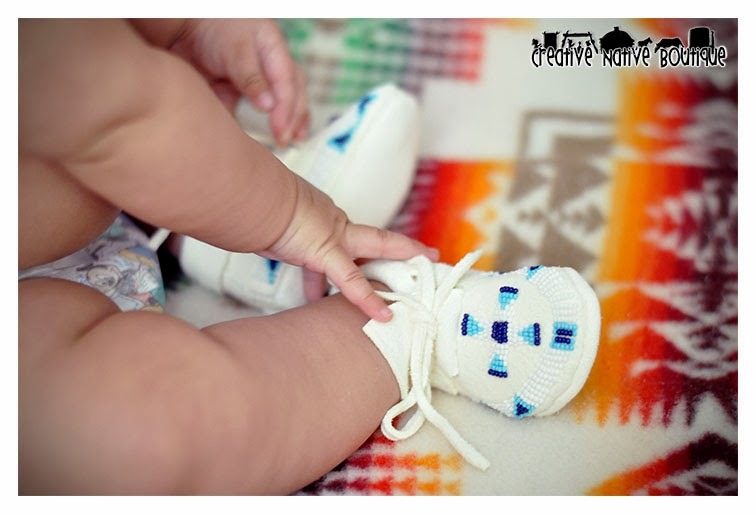 They are beaded with a beautiful intricate Shoshone-Bannock design and are gender neutral, making them perfect for that new little baby boy or girl! 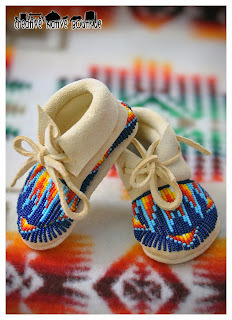 The traditional colors are beautiful! They are hand beaded on to tan deer hide. 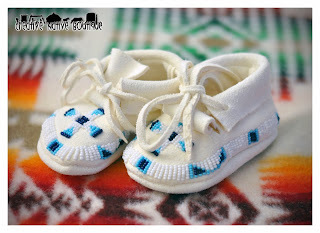 The moccasin portion is also hand sewn. 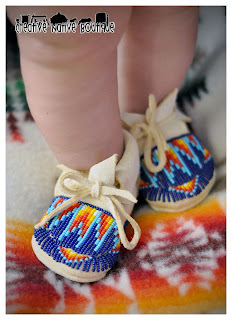 These moccasins are partially beaded with a beautiful Sioux design. They are cobalt blue, turquoise and white and are gender neutral. 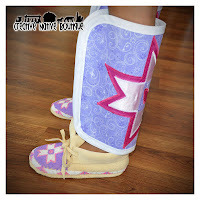 They are hand sewn and hand beaded on to white deer hide. These moccasins were intentionally left blank for someone who wants to bead a personal design on, or they may be worn blank! They will fit a newborn baby to about 6 months…but make sure to measure your baby's feet!